Are you are looking for properties in a specific area? Check our listings 'below' by location. Akumal is a small beach-front tourist resort community in Mexico, 100 km (62 mi) south of Cancún, between the towns of Playa del Carmen and Tulum. It is located in the state of Quintana Roo, and is part of the Riviera Maya area in the heart of the Riviera Maya, Akumal, "The Place of the Turtle in Maya". Playacar is an upscale resort area of Playa del Carmen. Located in the state of Quintana Roo, Mexico in the municipality of Solidaridad, it is a gated community that has grown with Playa del Carmen, just south of its main urban area. 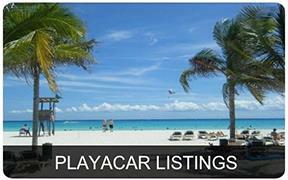 Playacar is approximately 40 minutes drive from Cancun. Cancún, located on the Yucatán Peninsula bordering the Caribbean Sea, is known for its beaches, numerous resorts and nightlife. It’s composed of 2 distinct areas: the more traditional downtown area, El Centro, and Zona Hotelera, a long, beachfront strip of high-rise hotels, nightclubs, shops and restaurants. 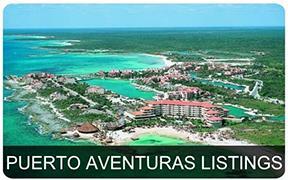 Puerto Aventuras is a gated resort-marina community and a boaters paradise on the Riviera Maya, boasting a variety of restaurants, shops, golf, entertainment and tourist attractions. Puerto Aventuras also offers a great variety of beachfront, marina front and golf course homes. Playa Del Carmen a coastal resort town, on Riviera Maya strip of Caribbean shoreline. known for its palm-lined beaches and coral reefs. With blocks of shops, restaurants nightspots, from laid-back bars to dance clubs. Real estate opportunities are booming offering many new condo developments etc. 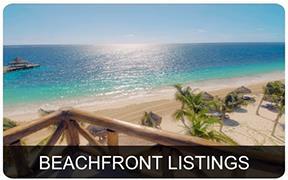 Discover Beachfront in Playa Del Carmen, Puerto Aventuras, Akumal, Tulum, Cancun and Puerto Morelos real estate along the Riviera Maya. If your looking for solid investment opportunities on the Riviera Maya. contact us directly. 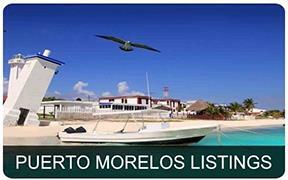 Puerto Morelos is a Mexican port town on the Caribbean coast of the Yucatán Peninsula. It’s between the Riviera Maya resorts of Cancun and Playa del Carmen, but retains some of its original fishing village character. Are you looking for the perfect Riviera Maya Real Estate? 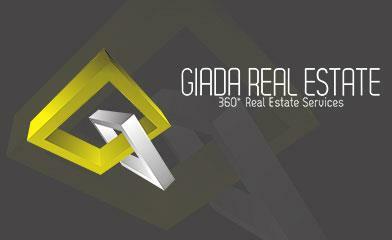 Giada Real Estate is for you! We have the best investment properties, lots and land, condos and homes for sale in Playa Del Carmen and the Riviera Maya! We can get you into the perfect property. If you’re looking to retire in Playa Del Carmen or to find the perfect new home or investment, we are the real estate professionals to help you realize your dreams. With 10-years of experience in real estate sales in Europe and Mexico, we provide the excellence, commitment, and personalized service you can count on as you pursue your perfect Riviera Maya Real Estate. Whatever your ideal property, be it a commercial investment, a beachfront home or an oceanfront condo, we have the properties and the market knowledge you need. With an extensive inventory of listings and the most advanced real estate tools available make us the perfect choice to get you into the Playa Del Carmen property of your dreams. With a sincere commitment to your real estate experience, we pride ourselves on providing our customers with exactly what they want and need. What Makes Us So Good? We are good at what we do because we are dedicated to getting you into your ideal Riviera Maya Real Estate. We provide quality service, and we get results. Organized and good at understanding the local market and its trends, we know how to negotiate the best deal. As legal experts, we pride ourselves on offering the best complete service you’ll find in the area. We use our experience to make the process of buying a new property as seamless and pleasant as possible. With Giada Real Estate and our knowledge of the investment properties and homes for sale in Playa Del Carmen at your side, you can be assured of getting exactly what you’re after. Brimming with the reliability and integrity you expect from seasoned professionals, we have the energy and expertise required to find your perfect home or investment property. 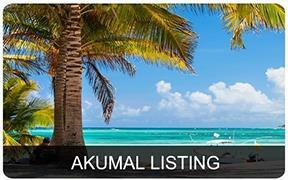 We know the area and we know the legalities of buying and selling Real Estate in Riviera Maya. Let Eddy help you find your dream home in Riviera Maya. A couple of words about buying property in Playa Del Carmen and the Mayan Riviera with Giada Real Estate . We are the Real Estate company which will satisfy all your real estate needs in Playa Del Carmen and Riviera Maya. We are a very dedicated company which will work with you until we find the perfect option to fit your needs for personal use or investment. 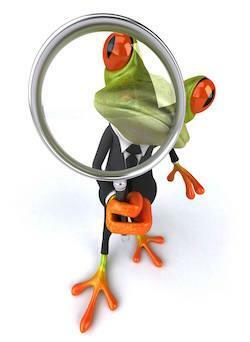 We want you to enjoy your searching and buying experience with us. Because we do realize the importance of buying a condo, house, villa, lot or hotel, we intend to do everything we can to make it go as smoothly as possible. Giada Real Estate agents are able to assist you with every step of the process from your initial search to your closing and getting possession. Everything will be taken care for you by our real estate professionals. If you are looking for real estate in Playa Del Carmen, Akumal, Puerto Aventuras, Puerto Morelos, Tulum or Cancun we are the right company for you. With no stress real estate tours of the properties, you are guaranteed to enjoy your experience of buying real estate and investing in Playa Del Carmen, Mexico. 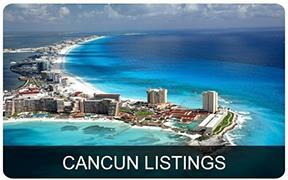 We are a company formed by top international brokers in the Riviera Maya so our agents will never pressure you. We have agents from Europe, Mexico,Rusia,Australia and the United States, we will find the right property for your needs. 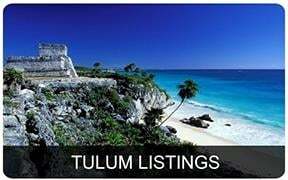 Also check out our commercial real estate listings for sale with properties in Playa Del Carmen, Cancun, Tulum and all the Riviera Maya. Contact Us Today at giadarealestate.com and get in touch with your Playa Del Carmen Real Estate Experts. We are very proud to let you know that we have added new agents to our team from Mexico, Australia, Europe and the US. We are now even more capable to understand and help you in your search for properties in Playa Del Carmen and the Riviera Maya. Giada Real Estate! 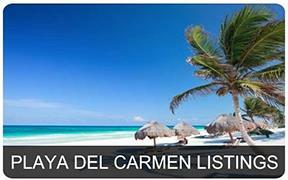 Simply the best real estate options in Playa Del Carmen and Rivera Maya.